Think that kids don’t need the arts in the 21st century? Think again. 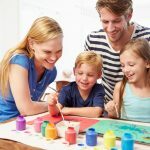 With all of the school cuts of the arts, loss of interactive and creative time in schools, art classes are becoming more and more important to find as a resource for kids and adults alike. No matter what your age, you can benefit greatly from the pursuit and improvement of your art skills, breathing life into your creative nature and technical skills. Click Here to read the PBS article about the loss of the Arts in schools. There are many aspects of development that the arts can contribute to. 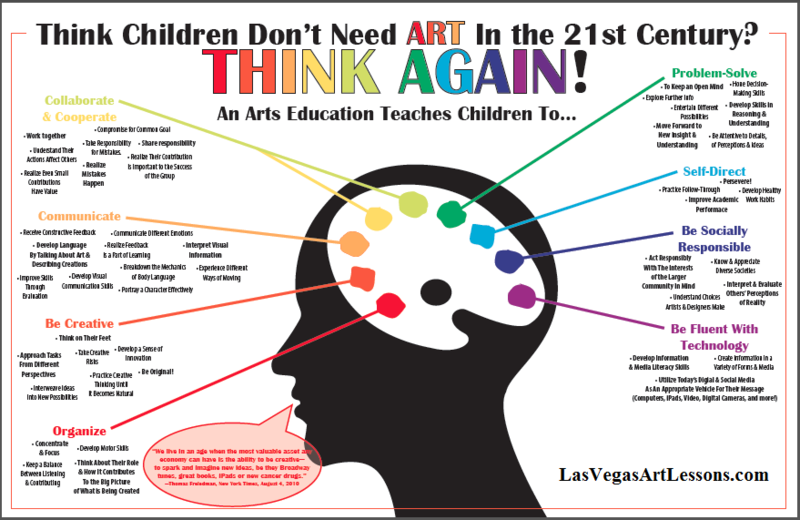 When you choose to learn with Las Vegas Art Lessons, you are choosing a 20 year veteran of the arts, a professional working fine artist, and teacher with a master degree in education.